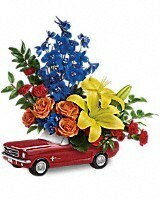 Living The Dream '65 Ford Mustang by Teleflora - by House of Flowers, Inc.
Look what just cruised into town! 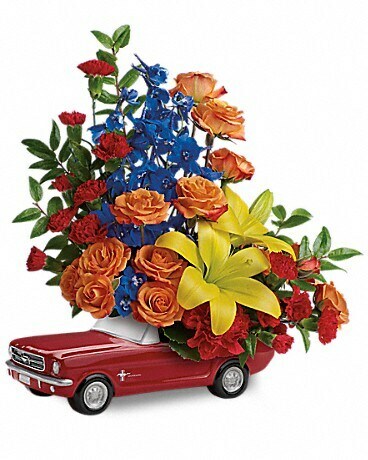 It's his dream car, bursting with bold blooms to remind him just how special he really is, on Father's Day and all year long. 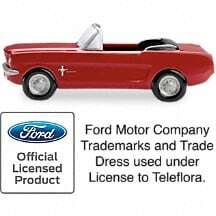 Hand-painted in classic poppy red, this fun-filled ceramic Ford Mustang is a one-of-a-kind collectible gift he'll love showing off to friends and family! 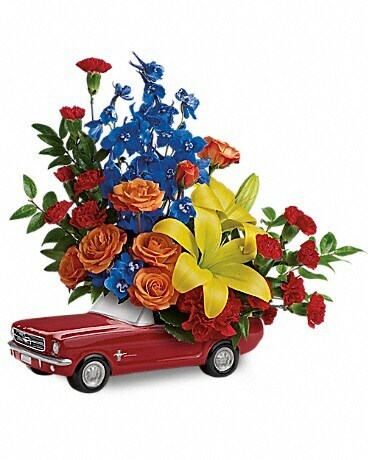 This ceramic 1965 Ford Mustang, hand-glazed in classic poppy red is part of Teleflora's exclusive Flowers-in-a-Gift collection. 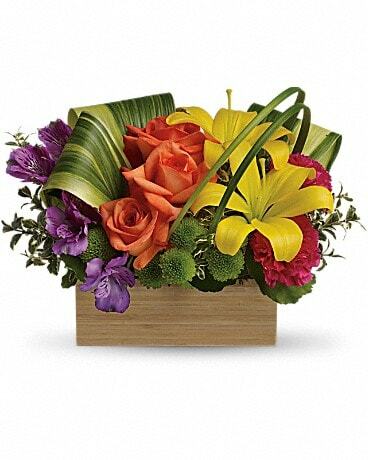 The perfect gift to celebrate Dad on his special day, or any day! 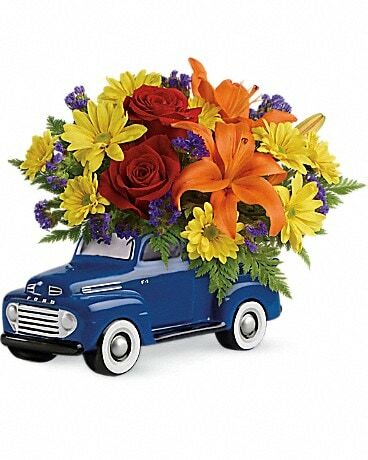 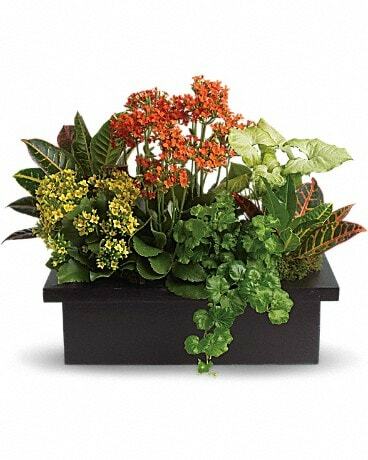 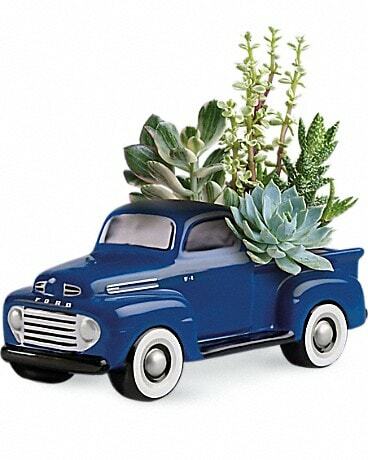 Ford Motor Company Trademarks and Trade Dress used under license to Teleflora.